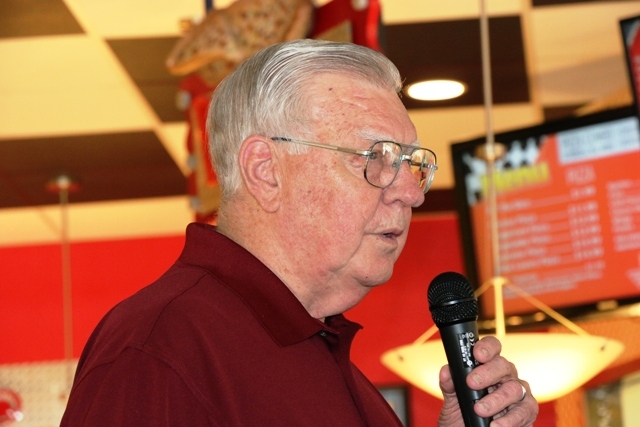 Dr. Lloyd Stegemann spoke to the members of the Flour Bluff Business Association at the regular monthly meeting held July 12, 2017, at Funtrackers Raceway Cafe’ in Flour Bluff. 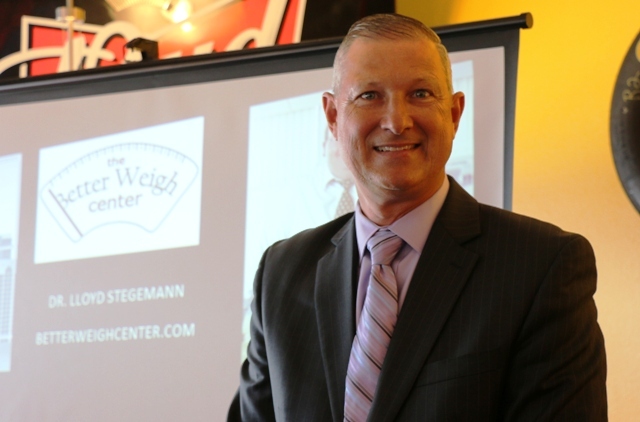 Dr. Stegemann is President, and Chief Bariatric Surgeon at the Better Weigh Center in Corpus Christi, Texas. He specializes in the treatment of obesity and subscribes to a health action plan that involves community leaders, businesses, schools, elected officials, faith based organizations, and healthcare professionals to get every individual to understand the effect that their weight has on their health. Dr. Stegemann focused his presentation on how obesity affects businesses. Dr. Stegemann shared a study from the Center for Disease Control, to show how the American obesity problem has changed in the last few years. 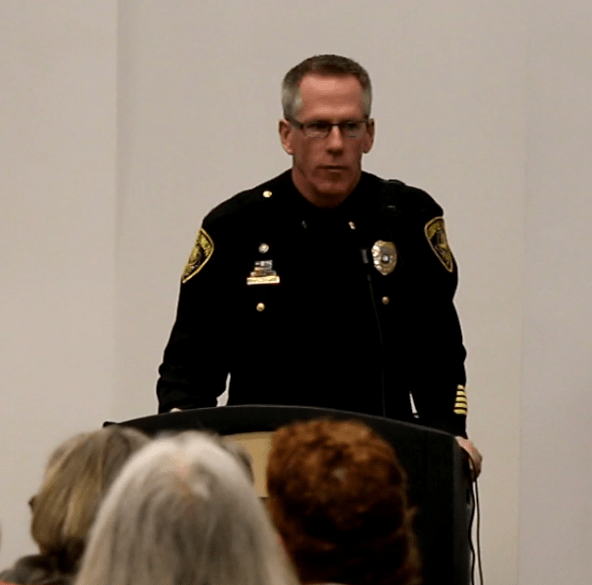 “We have a significant problem across the United States,” said Stegemann. “The really scary part is that the obesity rates in our children are very high, particularly in comparison to other countries. The problem with that is that if you are obese by the age of five, there is a 98% chance that you will be obese as an adult. So, getting this under control at the earliest ages is critically important.” According to a 2015 non-scientific report in Men’s Health Magazine, Corpus Christi topped the list for “fattest cities” in America. “Since America is considered the fattest nation in the world, then that makes Corpus Christi the fattest city in the world. We have a lot of work to do,” added Stegemann. This set of maps, from the U.S. Centers for Disease Control and Prevention, offers a state-by-state look at the tremendous increase in adult obesity over the past two decades. In 1990, no state had an obesity rate higher than 15 percent. By 2010, no state had an obesity rate lower than 20 percent, and 12 states had obesity rates greater than 30 percent. Dr. Stegemann asked everyone to consider the following statements and determine whether each is true or false from their own perspectives. Weight loss is easy. Just eat less and exercise more. Fat people are usually lazy. Employers should care about their employees’ weight. It is okay to fire an employee because he/she is obese. Employers should cover evidence-based weight-loss treatments. He followed this activity with important information related to each and a quick video on the Set Point Theory of Obesity, the reason people lose a few pounds then regain them rather quickly. “In addition to the many medical problems caused by obesity, carrying extra weight just creates lots of life problems. Simple tasks like tying your shoes, playing with the kids on the floor and getting up afterward, going fishing and getting on and off the boat become very difficult. Obesity also sets a person up for weight-bias discrimination. People over a certain weight have to pay for two seats on an airplane. You’ll notice that people who are severely overweight do things like pick out their path in a restaurant prior to getting up to cross the room so that they don’t bump people along the way. Just sitting in a booth becomes very challenging. 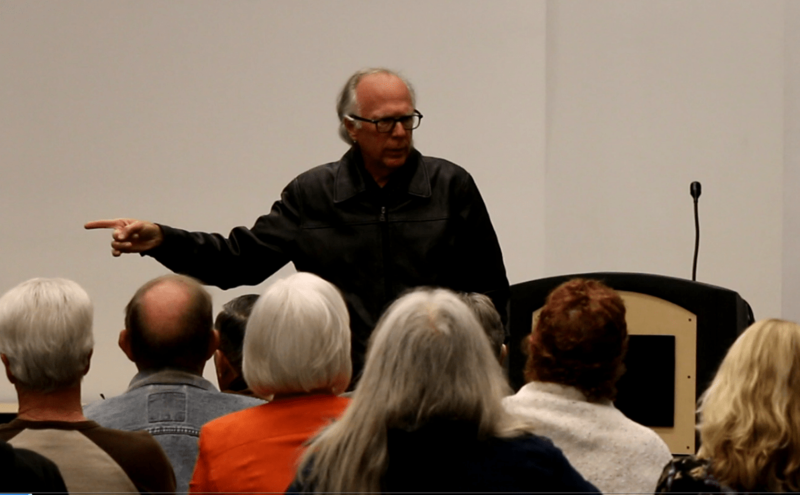 There is a significant decline in the quality of life for these people,” said Dr. Stegemann. “A new study even points to obesity as a possible key factor in developing Alzheimer’s Disease,” said Dr. Lloyd Stegemann. “What about the economic impact? What is the direct cost for treating the medical problems related to obesity? It comes out to $428 billion a year – direct cost for treating the medical complications related to weight. That’s about 14.3% of all health care spending in the United States. This is particularly true and important for treating Type 2 Diabetes,” said Stegemann, “which consumes 26% of the 14.3%.” To put the numbers in perspective, Dr. Stegemann said that in 1962 the annual spending on diabetes was less that one billion dollars. In 2014 the number was 112 billion dollars. “It is a significant problem,” said Stegemann. “These are the direct costs. The indirect costs include lost time at work and loss of productivity while at work which comes to $989 billion in indirect costs. In 2014, the total of direct and indirect cost related to obesity came to $1.42 trillion dollars. That’s a staggering number. In fact, it’s over 8% of our GDP.” He explained that these numbers do not take into account the 320,000 deaths each year associated with obesity. “Obesity is now the number 2 killer in the United States behind smoking. It is expected that obesity deaths will overtake smoking deaths within the next five years based on the current trends,” said Stegemann. “Why should the employer care about an employee’s weight? It costs them money,” said Stegemann. “People who are overweight have a lower rate of productivity and miss more work due to weight-related illnesses or doctor appointments. Over time, those numbers start adding up.” Obese employees have 36% more in medical costs, with 77% higher costs for prescriptions. When companies go back to renew health insurance plans, the prices start going up. “As employers, we carry a much higher economic burden. We pay more in both business and personal taxes. That $1.2 trillion has to come from somewhere. Part of that certainly comes from taxes,” he added. 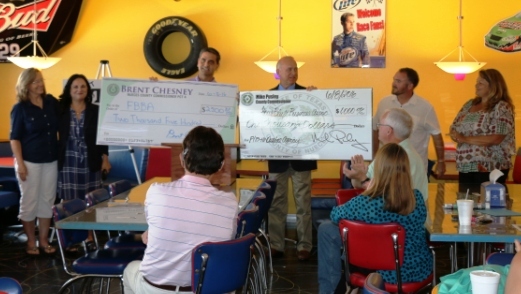 FBBA President Jennifer Welp welcomed State Representative Todd Hunter and Hannah Chipman of Brent Chesney’s office. 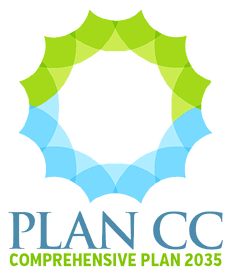 Welp thanked Brent Chesney, Michael Morgan of State Farm, Roshan Bhakta of Candlewood Suites, and Dr. Mohamad Hassan of the Children’s Center for sponsoring the upcoming Flour Fest event on October 28, 2017, at Parker Park from noon until 8:00 p.m. More sponsors are needed as are volunteers to run the various events. Anyone interested should contact Jonathan Vela, FBBA Events Coordinator at 512-937-8769 or visit the FBBA website at https://www.flourbluffbusinessassociation.com/ . Javier Wiley accepted the Spotlight of the Month Award for HEB Plus in Flour Bluff. The store is celebrating its 10th anniversary on Saturday, July 29, 2017. 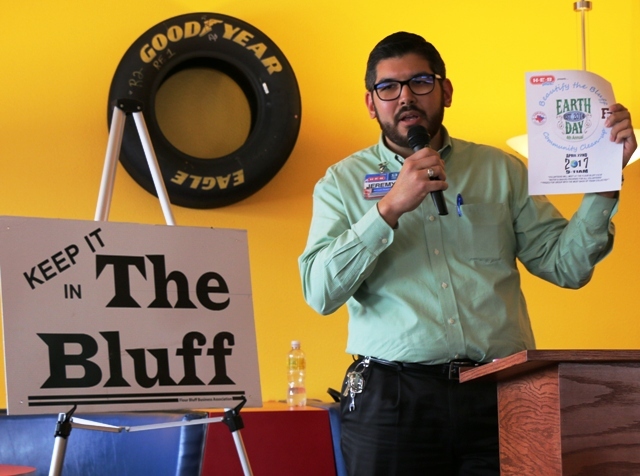 Welp thanked Jonathan Vela’s father, Juan Vela, for selling the Keep It in the Bluff t-shirts and spreading the word about the businesses of Flour Bluff. 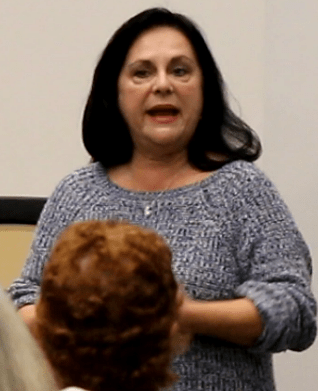 Susan Lawson gave an update on Parker Pool. Sponsors are still needed to assist with keeping the pool up and running. For more information visit the website at http://parkerpool.org/ . Welp asked the business owners to consider hosting a mixer in the near future as a way to network with other businesses. 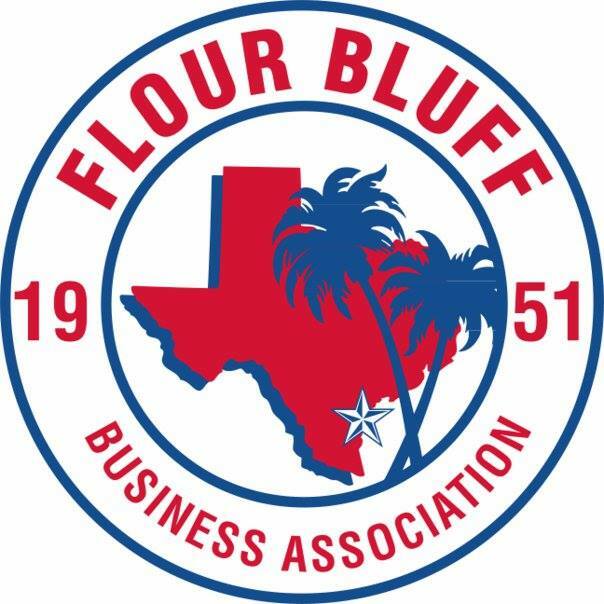 Shirley Thornton announced the Flour Bluff Citizens Council would host an educational presentation on how area development plans work, who writes them, and what the city plans on doing to update the Flour Bluff ADP, which has not been updated since 1993. The next general meeting will be held at Funtrackers at noon on Wednesday, August 9, 2017. The guest speaker will be local historian James Moloney. 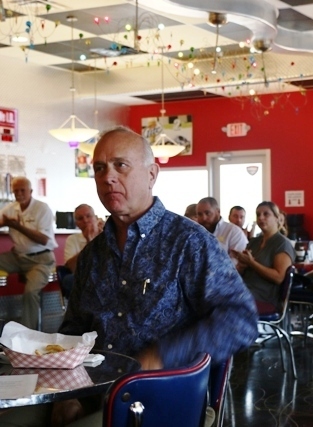 Nueces County Commissioner Brent Chesney spoke to a group of about 35 gathered at Funtrackers for the regular Flour Bluff Business Association on May 4, 2016. 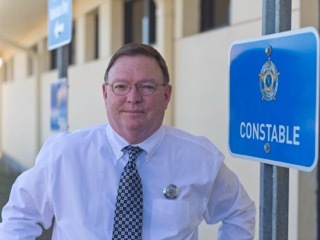 Commissioner Chesney, represents Precinct 4, which encompasses all of Port Aransas, North Padre Island, Flour Bluff, and parts of the Southside of Corpus Christi from Ocean Drive to the London Independent School District. 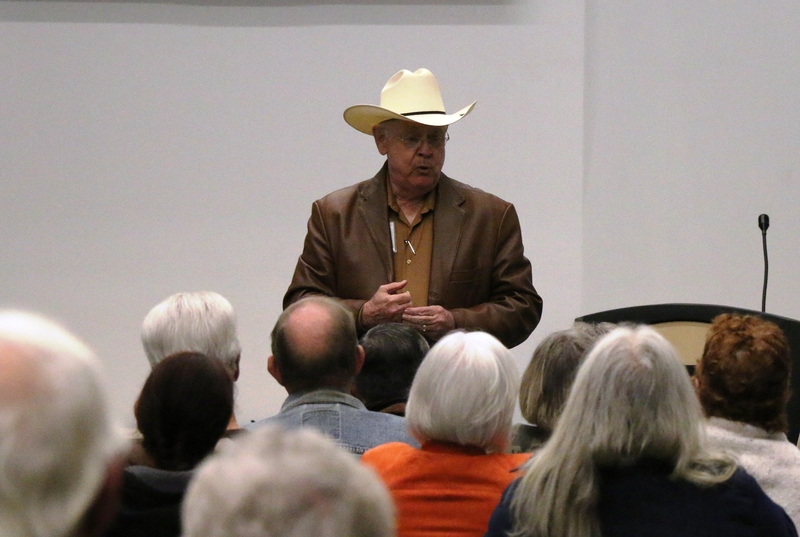 He previously served as the Presiding Judge for Nueces County Court at Law Number 5 and as an at-large Corpus Christi City Councilman from 2001-2007 and 2009-2010. Chesney opened his talk with a plug for the Sand Castle Run to be held Saturday, May 7, starting at 7:00 a.m. at Bob Hall Pier. 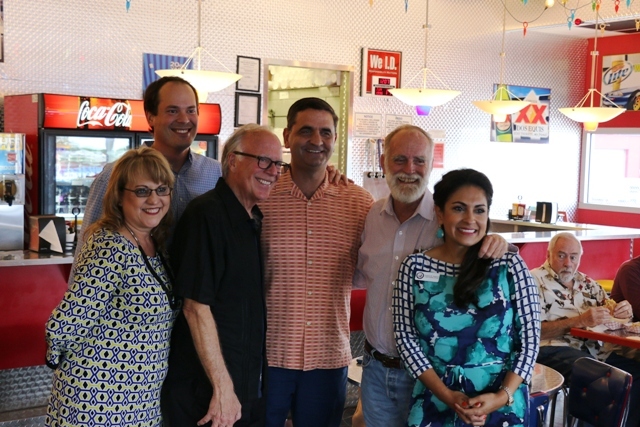 Proceeds from the event go to Camp Sandcastle, a program of the American Diabetes Association, established over 20 years ago to broaden the opportunity of Coastal Bend children with diabetes to experience summer camp. 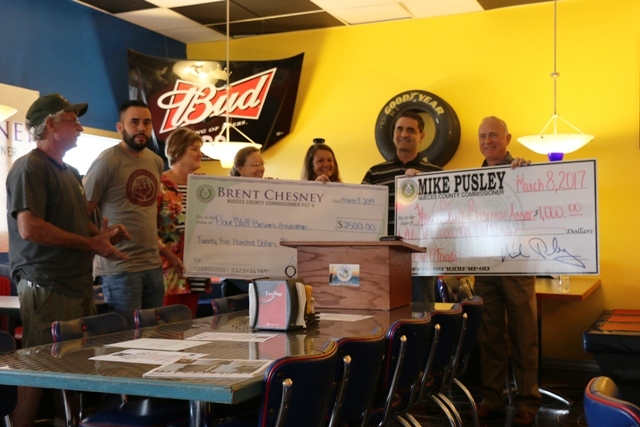 He encouraged everyone to take part in the fun and festivities as they attempt to raise at least $20,000 to help send more kids to the camp. 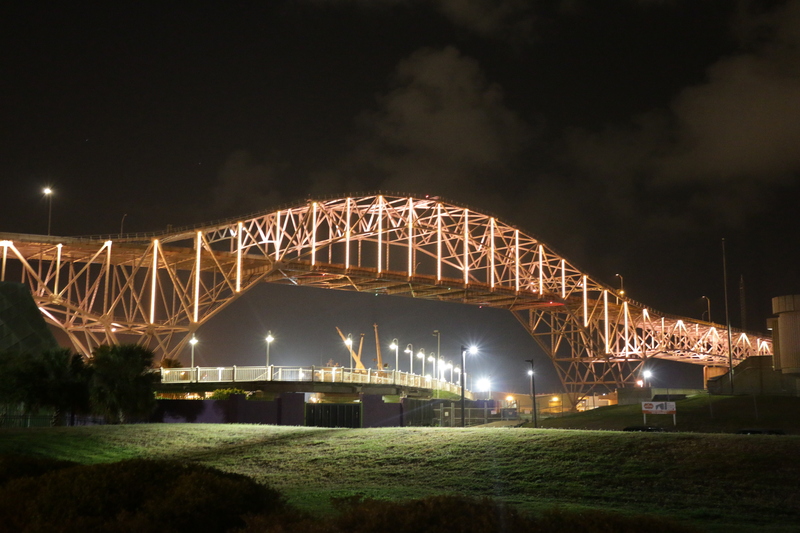 Nueces County supported the new harbor bridge to the tune of $12 million, which was part of a 25-year SIB (State Infrastructure Bank) Loan. 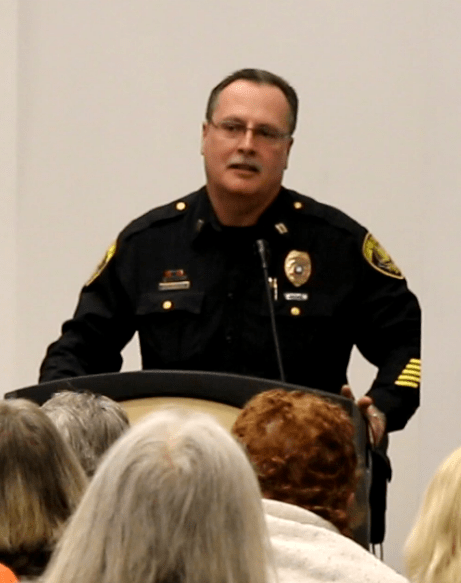 Other bond dollars will be used to relieve overcrowding at the jail through expansion of the McKenzie Annex, a less expensive way of creating more space. Nueces County is working to meet the $25-$30 million tab to be compliant with ADA regulations in all of its facilities as per the settlement agreement with the Justice Department. In terms of what the county can do for Flour Bluff, it basically comes down to first responders, county sheriffs, and county courts. Chesney said that the county will go digital in juror selection. In July, jurors will have the option of filling out their questionnaires online and in October can sign up for electronic notification to their email inboxes or their cellphones. Chesney chose to use his bond money for improvements at Padre Balli Park I.B. Magee Beach Park because they are county parks that offer some return on the investment. Chesney is looking to find a way for the county to help with the Redhead Pond project and perhaps even with Parker Pool. He makes no promises but is trying to think out of the box to help. 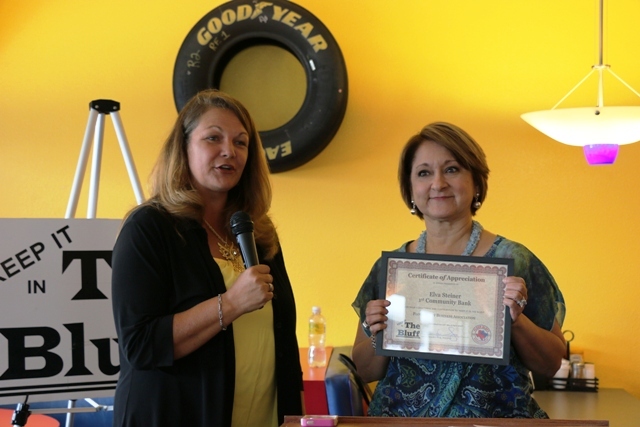 The county gave the Flour Bluff Business Association economic growth seed money last year for special projects, one of which is Flour Fest. He will return in June to discuss more about these kinds of funds. 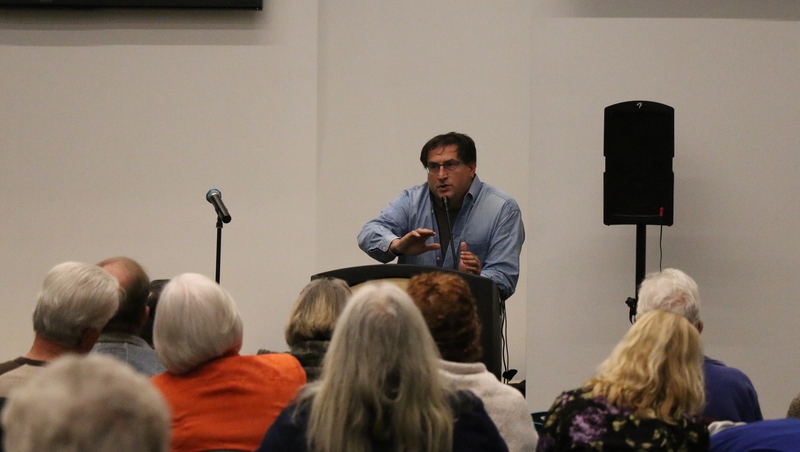 Chesney pointed out that many community members, such as Andy Taubman and James Skrobarczyk who serve on the street committee and Councilwoman Colleen McIntyre , are working to make the community better and should certainly be recognized for doing so. 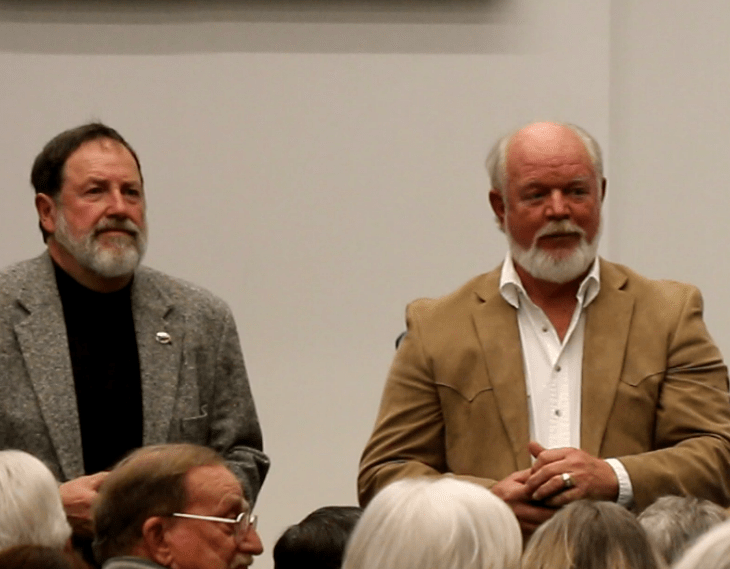 Chesney expressed how the purchase of the Kleberg County property, an eight-mile stretch of land that covers more than 3,600 acres of beach on Padre Island has been cleaned up and made more accessible to thousands of tourists who come to the area specifically for birding. The business association members thanked Colleen McIntyre for her service on the city council and for her early announcement to step down, which will allow others an opportunity to prepare to run in the District 4 race. 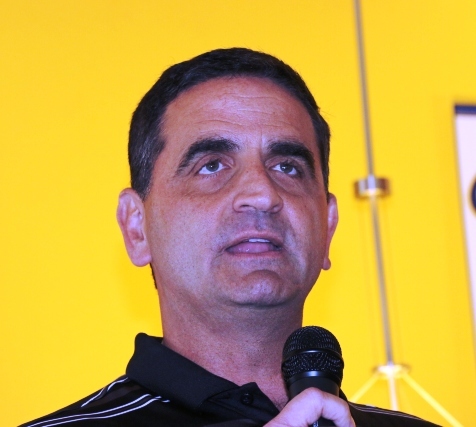 Joe Kelley, Superintendent of Flour Bluff Schools reminded everyone that the students are headed into STAAR testing next week followed by a quick end to school with graduation at 10:00 a.m. on May 28, 2016, at the American Bank Center. Mr. Kelley was accompanied by Brian Schuss, Assistant Superintendent for Business Management and Kim Sneed, FBISD Public Information Coordinator. Kim Sneed spoke about the record-breaking number of Flour Bluff Hornet student-athletes signed letters of intent to take part in baseball, basketball, football, soccer, swimming, or track programs at colleges across the country. 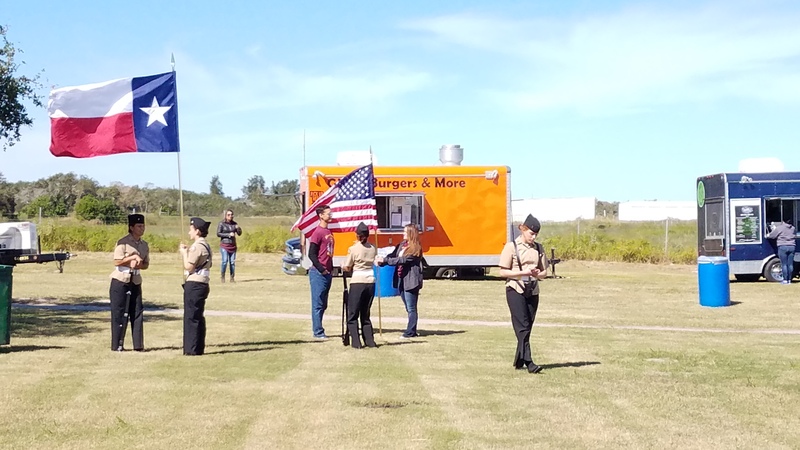 The event began at 4:15 p.m. and took place at the Flour Bluff ISD Indoor Athletic Field. 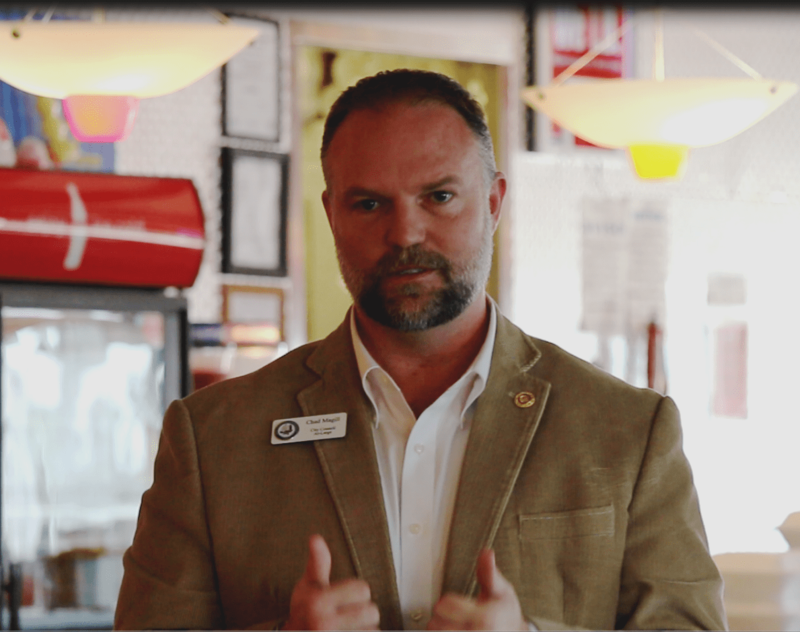 James Skrobarczyk announced that he will be running for the District 4 position. During the October meeting, a public forum will be held for the community to hear from all the candidates. 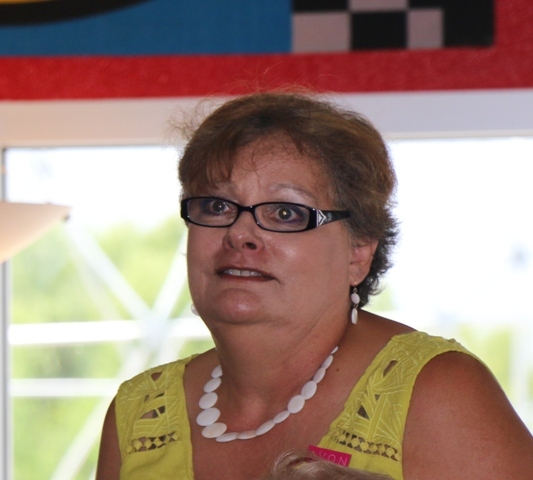 Pastor Linda Morrow of St. Peter’s by the Sea UMC asked for help with the mobile food bank run by her church, St. Paul’s Catholic Church, and Lord of Life. Help is needed the 4th Thursday of each month in the afternoon. Everyone was encouraged to contact Pastor Morrow if anyone would like to help out. Jeff Rank welcomed new general members: Edmond’s Coastal Plumbing, KP Direct Oilfield LLC, Oso Mini Storage, and Terry’s Family Hairstyles. 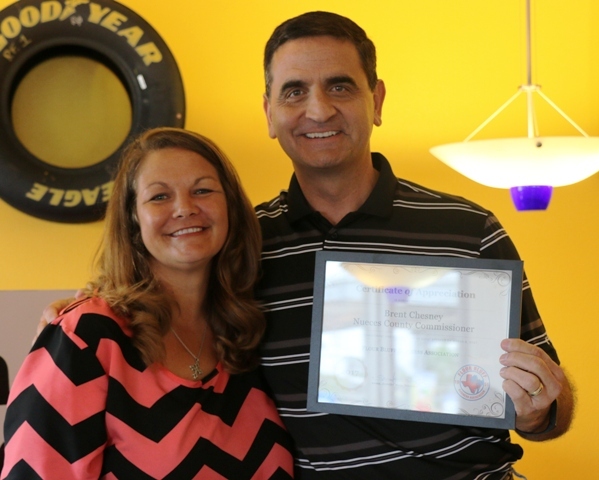 Jeff Rank also welcomed new associate members: First Title Company, Michael Hunter, and Unlock Texas. Jonathan Vela, the FBBA webmaster, has set up a text message alert system for all members. 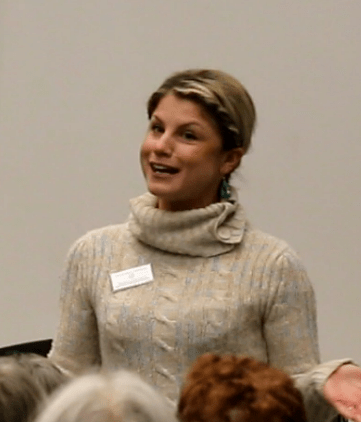 Melanie Hambrick encouraged everyone to sign up. The FBBA has been in existence since 1951. 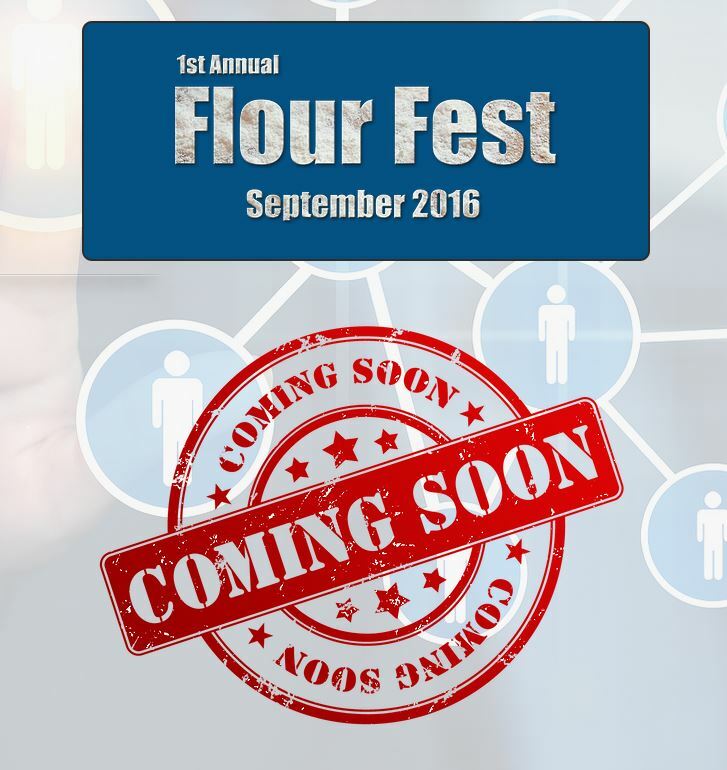 Flour Fest will celebrate the 65th anniversary of the association by highlighting local businesses on September 17, 2016. There will be food, drinks, music, and booths. Sign up information will be available soon. 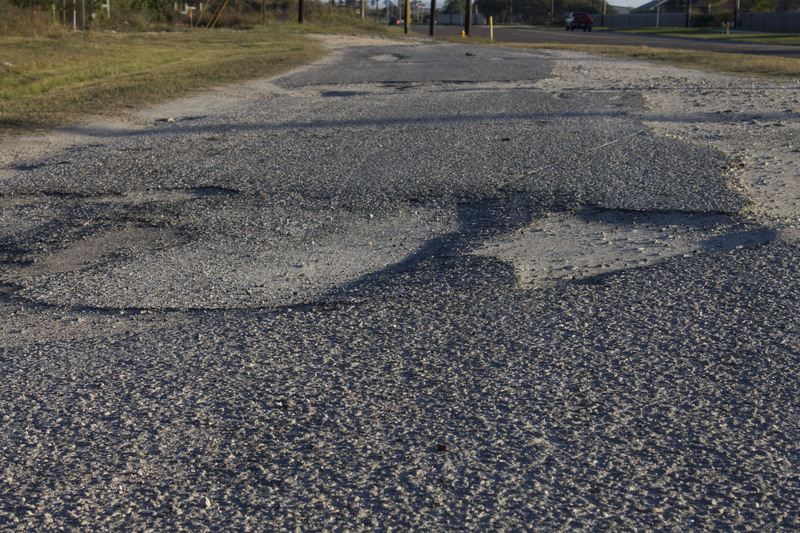 The City of Corpus Christi is celebrating the completion of the Waldron Road portion of Bond 2014. All are encouraged to attend.